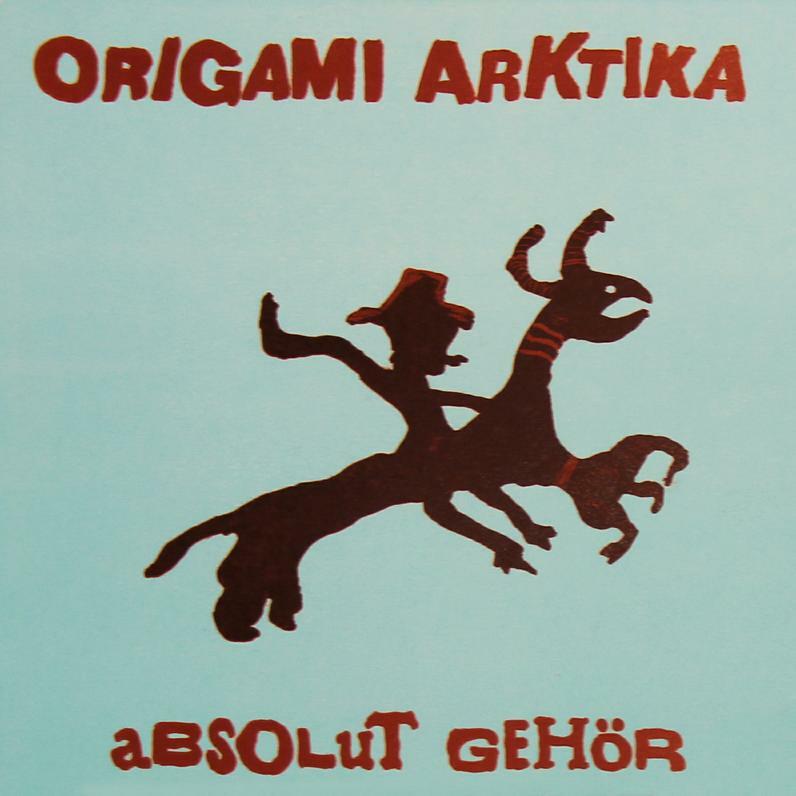 From Norway, Origami Arktika play traditional Norwegian folk music mixed with psychedelic and a variety of experimental/avant-garde influences. There’s a lot of variety across the eight tracks on their new album, Absolut Gehör. Most of the pieces are Origami Arktika’s interpretation of traditional songs, with the exception being the opening track, Ro og hamle, which was improvised in the studio by 8 musicians. A spacey soundscape organ serves as the foundation for the freeform manipulation of stringed and percussive instruments. The organ creates an eerie sense of foreboding, punctuated by a rhythmic thrum, while the other instruments seems to gel and glide along smoothly, despite the clatter, as if controlled and propelled by the organ. Bryggja te jol is an avant-noise/drone/folk/psychedelic tale of love and loss with vocals in Norwegian. It starts to rock out in its own strange way with the bass and drums creating a dark intensity. The screechy drones and what sounds like might be an efx’d harmonica inject a psychedelically bewitching vibe. Based on a 12th century Old Norse epic poem, Hattalykill consists of the same experimental feel and instrumental manipulation heard on Ro og hamle but adds vocals, making for an interesting combination of avant-garde free-improv and traditional Norwegian folk song. Folkestadvisa a short tune that sings of lost love against an ambient minimal drone backdrop. Tora Liti tells the tale of a young girl betrothed to a prince of England but ends up dead because of the doings of an angel in the shape of a dove. Pretty wild stuff this traditional Norwegian music. The psychedelic-folk music is enchanting but also grooves in its slow subtle way. It feels like sitting around a tribal campfire stoned on the local ceremonial brew. Det syng for Storegut is very different, sounding like an outtake from a mid-90s album by the Finnish band Circle, though I detect bits of Korai Orom as well. It’s got that awesome off-kilter but hip-shaking groove that characterized Circle, along with haunting atmospherics and demonic rumbling and howling spaced out noise-drone guitars. Skonde deg du jente closes the set and is a short song based on lokk, a calling of the livestock, and sings of a girl called to hurry up and bring milk to her illegitimate daughter. Ya gotta love that. In summary, Absolut Gehör is an intriguing album that took me several listens to really tune into. Origami Arktika excel at incorporating avant-garde elements to create music that is challenging but ultimately accessible. These guys are different and they do it well.